Ativan (lorazepam) is a benzodiazepine sedative used to treat anxiety and seizures. It may also be prescribed for people who are undergoing alcohol withdrawal, for nausea from chemotherapy, and for irritable bowel syndrome. It depresses the central nervous system and has risks when combined with other depressants or alcohol, including the possibility of fatal respiratory depression. While you have Ativan in your system, it is important to understand how it might interact with other medications and substances. You need to be alert for the symptoms of an overdose or severe side effects and work closely with your doctor to avoid these situations. Ativan can be given as tablets, liquid concentrate, or by injection. The different routes have different timetables for when they take effect. With tablets or liquids, the peak effects are seen in 2 hours. An injection begins to have effects in 15 to 30 minutes, and its effects last for 12 to 24 hours. The half-life of lorazepam is 12 hours, meaning that it decreases in concentration in the body by half every 12 hours. It is metabolized and then excreted in the urine. Its metabolite has a longer half-life of 18 hours. It takes five to six half-lives for drugs to be mostly eliminated from your system. Ativan will make your drowsy while it is in your system. You should not drive or operate machinery while you are drowsy. Be aware that Ativan can be habit-forming, and for this reason, it usually prescribed only for short periods. With long use, you become tolerant and larger doses are needed. Stopping Ativan after using it for a long period can result in withdrawal symptoms of anxiety, sleeplessness, and irritability. You risk serious breathing problems, sedation, or coma when you take Ativan with alcohol or other medications that can depress breathing. Do not use alcohol while taking Ativan. Do not take any street drugs as they may contain substances that can depress your breathing. If you take or plan to take any opiate or opioid medications, discuss them with your doctor as they can result in a life-threatening reaction with Ativan. These include medications with codeine or hydrocodone (such as for a cough or pain), fentanyl, hydromorphone, Demerol, methadone, morphine, oxycodone, and tramadol. 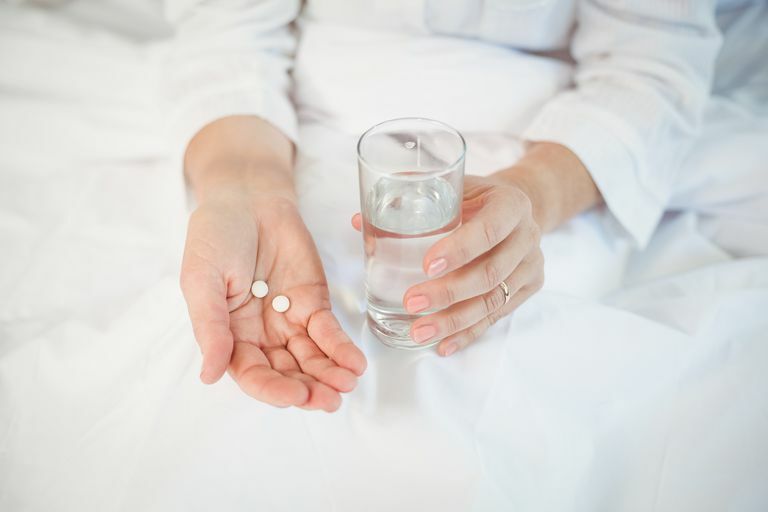 Discuss all medications, supplements, vitamins, and herbal products you take with your doctor as you may need dosages changed when you have Ativan in your system. Tell your doctor whenever you plan to start a new medication or stop using one. These include muscle relaxants, oral contraceptives, sedatives, sleeping pills, and medications for depression, seizures, Parkinson's disease, asthma, colds, or allergies. If you are breastfeeding, be aware that this drug passes through into your milk and may affect your baby. If you are pregnant or plan to become pregnant, discuss this with your doctor. If you are depressed or have suicidal thoughts, Ativan should be avoided. Older people may experience more effects of Ativan and often are given lower dosages. They may be more affected by drowsiness and need to take precautions. Cigarette smoking or using tobacco products can reduce the effects of Ativan. An overdose with Ativan is most commonly seen if you take it with alcohol or opiate medications. This can be life-threatening, and it is important that your family or household members know what symptoms to look for so they can get emergency help for you. The signs are unusual dizziness, lightheadedness, extreme sleepiness, slowed or difficult breathing, or unresponsiveness. Ativan has a relatively long half-life and it is eliminated in the urine for 1 to 6 weeks, depending on how much is administered and for how long. If you are going to be taking a urine drug screen for employment or other purposes, be aware that it will test positive if you are taking Ativan. Disclose your prescription to the testing lab so they can accurately interpret the test results. Toxicology Screen: MedlinePlus Medical Encyclopedia. MedlinePlus NIH.